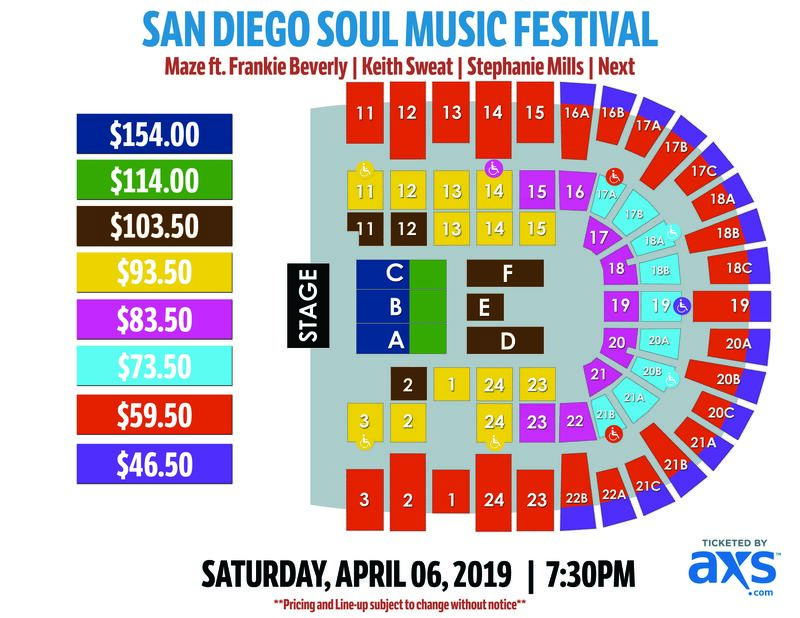 G-Squared Events is excited to announce their upcoming event entitled “The 5th Annual San Diego Soul Music Festival” with Maze featuring Frankie Beverly, Keith Sweat, Stephanie Mills, and Next. 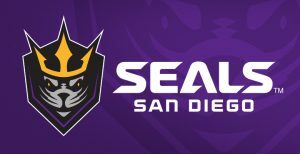 The event will take place on April 6, 2019, at the Pechanga Arena San Diego in San Diego, California. Doors are scheduled to open at 6:30PM and the event will take place at 7:30PM. Presale begins on November 9, 2018, at 10AM at Ticketmaster.com and at the Pechanga Arena San Diego Centre Box Office. Tickets will go on sale to the general public starting on November 12, 2018, at 10 AM. 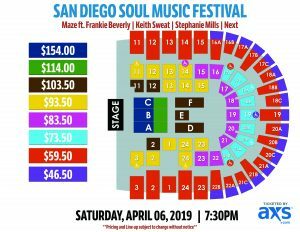 Ticket prices for the event range from $42.50 – $150. Next is an American contemporary R&B musical trio, popular during the late 1990s and early 2000s. They are best known for their #1 hit single “Too Close” as well as “Wifey“, and “I Still Love You” which all still receive frequent airplay on Adult Contemporary radio stations both in the US and internationally. Based in Houston, Texas, G-Squared Events produces high-quality live entertainment experiences with some of the world’s biggest performers including Charlie Wilson, Tyrese, Steve Harvey, Keith Sweat, and Brian McKnight. For over 20 years, G-Squared Events has leveraged data-driven insights with our event production expertise to deliver world-class events while earning enduring loyalty from our patrons, artists, and venue partners. G-Squared Events is listed on the 2018 Pollstar Midyear Worldwide Ticket Sales Top 100 Promoters. To learn more, visit GSquaredEvents.com. 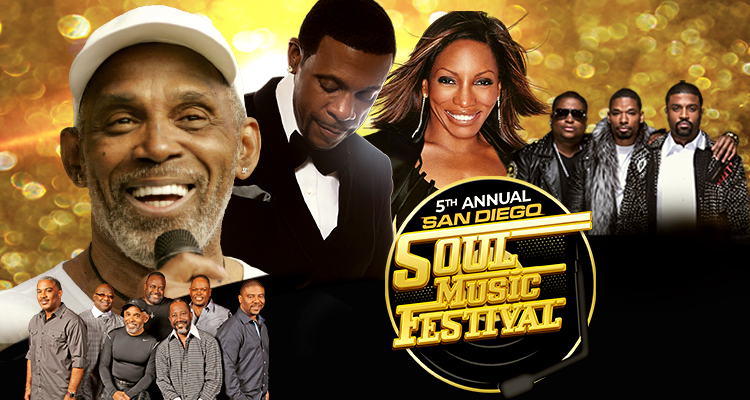 For Discount Ticket Pricing, click here.